The energy ministers of the world's leading industrialised nations have met in Japan amid fears soaring oil prices could damage the global economy. The Group of Eight (G8) organisation met two days after a record one-day jump in crude oil to $139 a barrel. Efficiency, shared technology and the promotion of alternative power sources were high on the agenda. 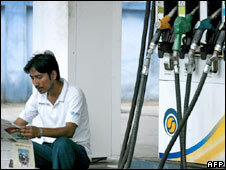 But disagreements surfaced on fuel subsidies, which the US and others feel have helped boost prices. The meeting took place in Aomori, on the northern edge of Japan's main Honshu island. Business Secretary John Hutton, who represented Britain at the meeting, called for an increase in oil production to push prices down. He added that Britain and other Western countries need to help developing nations reduce the environmental impact of their energy use. On Saturday, five key energy-consuming nations, the United States, China, Japan, India and South Korea, all called on oil producers to increase output to try to control the soaring prices. The Organisation of Petroleum Exporting Countries (Opec) has said no new decision will be made until its meeting in Vienna in 9 September. US Energy Secretary Samuel Bodman said: "It's not good for producing nations to see the US struggling economically. They depend on us to be a significant engine in world economic activity." Later, Australian Prime Minister Kevin Rudd said a "blowtorch" needed to be applied to OPEC to urge the cartel to increase production. The ministers of the five nations meeting on Saturday also agreed on other issues such as developing clean energy technologies, improving efficiency and on better cooperation in strategic oil stocks. However, sharp differences emerged on fuel subsidies. The BBC's Chris Hogg in Tokyo says heavy fuel subsidies are used throughout the developing world to try to ease the burden on the poorest in society. Mr Bodman said the subsidies in China and India had helped drive demand and so increase prices. "We know demand is increasing because a lot of nations are still subsidising oil, which ought to stop," he said. 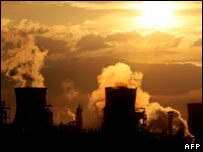 India insists there is no agreement to remove the subsidies altogether. Its representative at the talks on Saturday said the country was not ready to move to a position where the market decided the price its citizens should pay for oil. China also made clear it had no time frame for moving towards lower subsidies, saying they needed to consider carefully how removing them might affect the country's social and political stability. Mr Bodman said even quick action at the Aomori talks might not bring immediate benefits. "This has been a long time in coming... this is going to take a long time to accomplish." The Aomori talks herald a full meeting of G8 leaders on Japan's northernmost Hokkaido island in July. Friday's spike in oil prices coincided with a dollar slump, plummeting share prices on Wall Street and US unemployment suffering its biggest rise in 20 years. The benchmark light, sweet crude oil is more than twice the price it was a year ago.